Panel Discussion: What’s Next for Line 5? Environmentalists say the Line 5 oil pipeline under the Straits of Mackinac poses a risk to the Great Lakes, and the state is looking into it. Michigan recently received a list of potential replacements for the 64-year-old pipeline. A draft of the Alternatives Analysis report was published last week, and details those replacement options. Another report outlining the risks of Line 5 to the Great Lakes was supposed to be published as well. That report was scrapped after the authors revealed a conflict of interest. The state is holding several feedback sessions to inform the public on the report. The public can comment at the any of the sessions – or online – until August 19, when the report will be finalized. 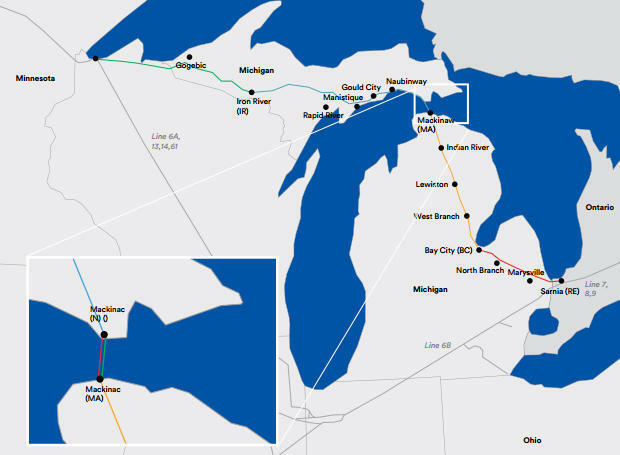 IPR’s David Cassleman spoke to Ryan Duffy, communications strategist from Enbridge, the company that built Line 5, about these recent developments. The panel discussed the replacements, risks and future of Line 5 and answered questions from callers. This story was produced under a partnership of Michigan State University’s Knight Center for Environmental Journalism and Interlochen Public Radio.